LAWRENCEVILLE, GA (AP) – Sitting in a classroom above a gun range, a woman hesitantly says she isn’t sure she could ever shoot and kill someone, even to protect herself. Couldn’t she just aim for their leg and try to maim them? 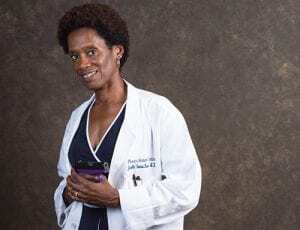 Dr. Janella Thomas-Burse, a 53-year-old gynecologist, poses with her SCCY 9mm handgun. 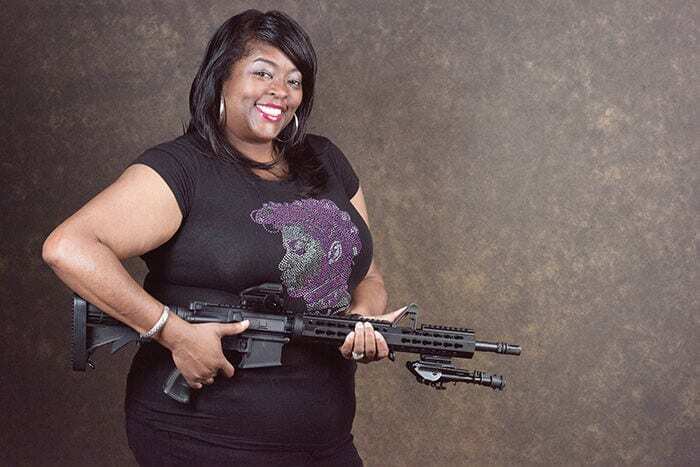 She’s among the ranks of the nation’s black women who own a firearm. Marchelle Tigner is on a mission: to train at least 1 million women how to shoot a firearm. She had spent no time around guns before joining the National Guard. Now, as a survivor of domestic violence and sexual assault, she wants to give other women of color the training she hadn’t had. It’s hard to find definitive statistics on gun ownership, but a study by the Pew Research Center released this month indicated that just 16 percent of “non-white women’’ identified themselves as gun owners, compared with about 25 percent of white women. Other Pew surveys in recent years have shown a growing acceptance of firearms among African-Americans: In 2012, one found that less than a third of black households viewed gun ownership as positive; three years later, that number had jumped. By then, 59 percent of black families saw owning guns as a necessity. 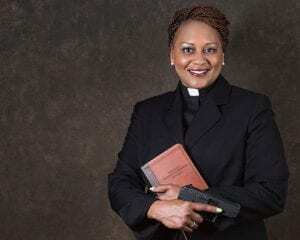 A recent study by gun-rights advocate and researcher John Lott showed that black women outpaced other races and genders in securing concealed carry permits between 2000 and 2016 in Texas, one of the few states that keep detailed demographic information. while pumping gas. “I woke up one day watching TV and I said, you have to get over this,” she said. She’s now more aware of her surroundings and is learning how to prepare herself in case she becomes a potential victim. Philip Smith founded the National African American Gun Association in 2012 during Black History Month to spread the word that gun ownership was not something reserved for whites. He figured it would ultimately attract about 300 members, a number achieved in its first month. It now boasts 20,000 members in 30 chapters across the country. “I thought it would be the brothers joining,’’ Smith said. Instead, he found something surprising – more black women joining, most of them expressing concerns about living either alone or as single parents and wanting to protect themselves and their homes. On top of that, the shootings of black men and boys around the country have left Smith and others concerned that racism can make a black person a perceived threat, even when carrying a firearm legally. “The pain that I initially feel for Philando Castile is the same pain I felt for Alton Sterling or Trayvon Martin and the list goes on and on and on,’’ Smith said. He and his organization take pains to coach members on what to do when stopped by police, but not everyone is comforted. At the training session in Lawrenceville, just outside Atlanta, about 20 students gathered on a recent Saturday morning to go over basic safety lessons and instructions. They started with orange plastic replica guns as Tigner demonstrated proper stance and grip. They are taught not to put a finger on the trigger until it’s time to shoot and to keep the muzzle pointed in a safe direction. Tigner plays to their protective instincts by telling them always to know what is beyond their target so they don’t accidentally shoot a young child or another innocent bystander. After about an hour in the classroom, the women walked downstairs and into the Bull’s Eye Indoor Gun Range. Some flinched as the crack of gunfire blasted from a series of bays. They were each shown how to load a magazine and given the chance to do it themselves – several of them struggling to get the bullets into the spring-loaded magazine with their long fingernails. Then they took turns firing a Glock 19 semi-automatic 9mm at targets about 5 yards down range. “The bad guy’s dead. He’s not getting back up,’’ Tigner tells one student who beams with pride as they look over a target riddled with bullet holes. Jonava Johnson, another student, says it took her a long time to decide to get a gun. For years she was afraid of them after an ex-boyfriend from high school threatened her and shot and killed her new boyfriend in front of her. She was just 17.